Have you seen one in person? If you’re patient, hang on for the Regal GS. European reviewers praise its 265-hp turbo four, manual gearbox and all-wheel drive—which could be as close to a GNX as we’ll ever see again. We’ve always wanted a sedan as sleek and comfortable as this—but if the Regal’s going to wear a Buick badge, it probably needs more room and more power. Burt Reynolds has left the building; there are no more W-cars to kick around. Buick has swept almost all the dusty past from its showrooms—but in an odd Taurus-like move, has dubbed its savvy new front-drive, mid-size sedan with the retro Regal badge. Trust us. This is no Regal. It’s hardly a Buick, if you recall anything that came before the swank Enclave. Hey, we grew up on big Buicks oozing with V-8 authority, or at least, thrumming away with a workmanlike 3800 V-6—and that’s why this capable, stunning car feels like an odd fit, even for a brand that once sold Roadmasters and Reattas side by side without anyone to translate. What makes it such a non sequitir? The Regal’s not just a small Buick—it’s a small Buick with only an aluminum four-cylinder engine, and if you want it, turbocharging. There is no V-6, nor is there a V-8. That alone could get it charged with heresy. It could be the right move at the right time, as most of the car world steps away from hulking hunks of low-efficiency iron. It could be a major disconnect. Engines alone don’t divorce this sedan from the past. The Regal essentially is our version of the European Opel Insignia sport sedan and once was intended for dead Saturn. It’s since been retrofitted with Buick’s waterfall grille and taillamps, and it’s a visual knockout, an ersatz Infiniti G37 with a Nike-like side swoosh and a dynamically styled interior. In handling and road feel, the Regal’s from another world, too. The automatic can be shifted with paddles. A manual transmission is on the way, probably arriving in tandem with a wagon. This Regal is an iconoclast, and it responds like nothing we’ve ever driven from Buick. What the new Regal isn’t: particularly roomy or sporty. The Regal handles very well, but without the edge you’d find in a Ford Fusion—there’s a softness that’s a compromise between Buick’s past and its future. The turbo four spins out 220 horsepower, good but more than 50 hp shy of the upcoming Hyundai Sonata Turbo, which also outpaces it on price and room. 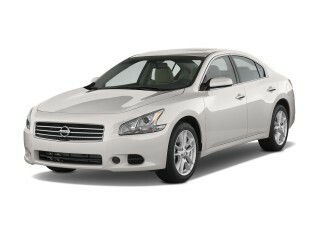 That back seat pales against the rear benches or buckets in just about every near-luxury sedan on the same shopping radar screen: Maxima, S60, TSX, Passat CC. It’s a ‘tweener for sure, and there’s no telling if the smaller side of mid-size is going to play well with the Costco set. We’ve driven the standard and turbo versions of the Regal CXL, which carries a base price of about $27,000. Buick says less expensive versions are coming, and it's also confirmed a 260-hp-plus Regal GS with that manual gearbox. We think it’s engaging and very appealing from the outside in, but it’s also smaller and pricier than expected. That’s usually the case for imported domestics like the Regal—and it’s a tough sell, even to that small set of loyalists who hang with the hipsters every now and then. There’s not much old Buick in the Regal, and that’s a good thing; its dynamic styling resets the “wow” factor for premium family sedans. Buick says the new 2011 Regal’s shape is sleek and sculpted, and we're inclined to agree, after seeing it in a GM design studio last year and watching it zip around the deserts east of San Diego. We liked the car as the Opel Insignia and as the Chinese-market Buick Regal, and the swift details pressed into its door panels and the Buick waterfall grille have been integrated nicely (and quickly) into a car that at one point was to be the second-generation Saturn Aura. The swoosh down the side reminds us of the Nike logo; from the three-quarters rear view, we’re convinced some designers have been admiring the Infiniti G37, what with the stubby decklid and big 18-inch wheels. It’s a dynamic wedge that’s completely unrelated to the big old Lucerne or even the larger LaCrosse with which it shares some platform pieces. It’s visually distinct—and a knockout. The Regal's interior is almost as successful. Directly in front of the driver sits a low instrument panel highlighted by crisp LED-lit gauges, while the central dash arranges controls on a shield-shaped band of high-quality plastic. The sweeping lines that wrap the doors into the design glint with metallic trim. It’s all suitably upscale. Buyers will have a choice of satin metallic interior trim, piano-black plastic or a dark wood called Kibo. Regal sedans outfitted with the navigation system get a good-sized LCD panel and a wheel controller down on the console—they're integrated well enough, but we’ll tell you how they perform a little later. Turbocharging lifts the 2011 Buick Regal into heady territory; ride and handling lock down its place among the truly sporty family sedans. There’s no V-8 under the hood—not even a V-6, for that matter—but the 2011 Regal is still the best driving experience from the brand we’ve ever sampled. Some of the credit goes to a pair of smooth Ecotec four-cylinder engines, though we’re ready to drive a Regal with a lot more power. The base powerplant’s a 2.4-liter four-cylinder with 182 horsepower, and it’s just okay in terms of acceleration and smoothness. It’s direct-injected for improved power and economy for its size, but feels a little overwhelmed on uphill climbs, even with just a driver aboard. The six-speed automatic transmission offers a driver-control mode so that you can hang in lower gears longer; still, we’re guessing this version will take about 9 seconds to hit 60 mph. 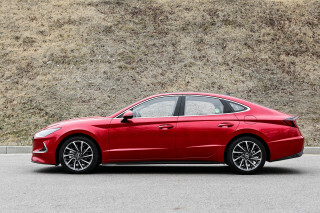 Fuel economy is EPA-rated at 20/30 mpg, a distinct step back in a class that includes the 35-mpg Hyundai Sonata, and even the base 33-mpg four-cylinder automatic Camry. Spend about $30,000 and you’ll get Buick’s turbocharged 2.0-liter four-cylinder with 220 hp. The powerband’s much friendlier here, and it gives the Regal a grunting chance to spin tires and engage your mind. It’s fairly quiet and eager to run through its powerband—and its different six-speed automatic comes with paddle shifters for a more engaging drivetrain feel altogether. Still, we can’t help but look at the coming Sonata Turbo’s 274 horsepower and think this engine’s an underachiever, too. (Buick’s promising a 260-hp Regal GS with a manual gearbox—with a price premium, we’re guessing, of another two or three grand.) Most of the competition has six-cylinder options, but none are exceptionally quicker than the 7- or 8-second Regal Turbo. Fuel economy only falls a bit with the blown engine, to 18/29 mpg. A European-engineered suspension elevates the Regal’s handling game, pulling it higher in our performance ratings. An independent suspension, struts in front and multi-link in rear, responds like you’d expect from a continental sedan. The ride’s well damped, and bumps cause a little more noise than you’ll actually feel through the seat. The Regal’s hydraulic power steering has the turn-in and progressive feel that cars with electric power steering can only hope to one day get to. 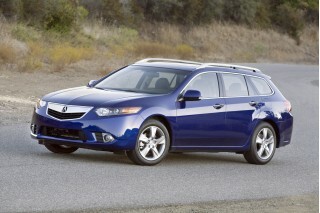 (The base Regal will switch to electric power steering in 2012, though.) Disc brakes all around are reassuring, and they're larger on Turbo versions. Buick will even fit an electronically controlled suspension with three driving modes to the Regal, if you’re up for the extra cost. The Interactive Drive Control doesn’t fare badly at delivering most of the stock Regal’s ride quality in Normal mode; Tour and Sport will also tighten up steering and quicken the throttle. But like systems from Audi and others, the pre-selected settings are something you might fiddle with in the first few days of ownership—then forget. If you can find a Regal Turbo without the system, you’ll probably be lucky, and you’ll save. 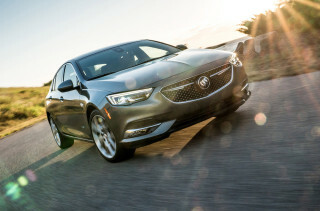 The 2011 Buick Regal may seem smaller inside than other sedans, but it’s mostly optics—except in the downsized trunk. The 2011 Regal’s cabin is a little deceptive. For a car with a long wheelbase, the Regal seems to have a little less interior space than some other new near-luxury sedans and family four-doors. It’s not far behind on paper, in truth, except in trunk room. Firm front bucket seats are a great place to work the Regal’s controls. They’re covered in leather in the Regal CXL (and likely cloth-covered in the base Regal yet to come). Power adjustments let you dial out the flatness from the bottom cushion. The Regal has less headroom and front legroom than many competitors, though, so raising the seat or moving it back are more limited. An example, the big Hyundai Sonata has about 40 inches of headroom, from bottom cushion to headliner; the Regal has 39 inches and a relatively deep, thick sunroof. 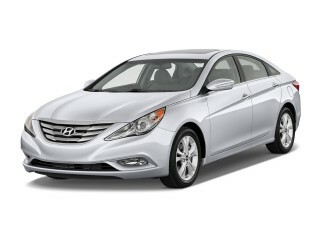 The Sonata has 45 inches of front leg room; the Regal, 42 inches. The Regal’s seats are suppler than those in the Hyundai, for sure—but if you don’t fit, you don’t fit. And it’s far more likely the big guys are going to sit up front. The Regal does have a relatively spacious back seat. The three-person bench offers riders about as much leg room as a Honda Accord, and about 3 inches more than an Acura TSX or the Sonata. The Regal’s a little shy on headroom, though, and its cozy, thickly bolstered seats left us with the impression that the Honda and Hyundai had more usable rear-seat room. Cargo capacity’s no question: the Regal sits on the small side of the scale, with just 14.3 cubic feet of trunk room. Most four-doors in its class have about 3 or 4 cubic feet more; the Ford Taurus’ enormous trunk is a vast 20 cubic feet. The 2011 Buick Regal shows signs of safety stardom, but we’ll wait until the test scores roll in to give it a final score. The 2011 Regal has turned in half its safety tests, and the numbers look good. Though the National Highway Traffic Safety Administration (NHTSA) has yet to score it, the Regal has earned the Insurance Institute for Highway Safety (IIHS) Top Safety Pick award. We’re giving the Regal a provisional score of 8 until the NHTSA numbers are in. Part of the reason for the relatively high score is the Regal’s list of safety features. Standard dual front, side and curtain airbags are paired with anti-lock brakes, as well as traction and stability control. GM’s OnStar system also will be standard, as will tire pressure monitors. Rear side airbags are an option—it’s a common solution for European cars like the VW Passat, to boost side-impact safety, though less common in domestic cars. Other safety options include a rearview camera and blind-spot monitors. We’d like to see the rearview camera made standard, though the Regal doesn’t have much of a problem with visibility. Likely, GM hasn’t made it standard since not every Regal gets the big LCD screen that also displays maps and controls for the optional navigation system. 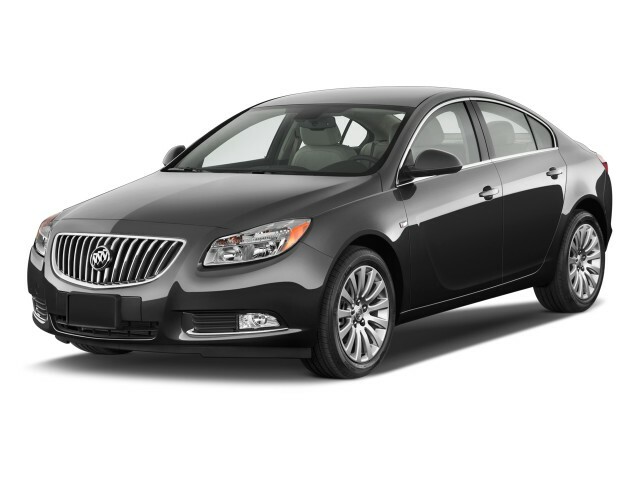 The 2011 Buick Regal wears its luxury mantle of tech features well; we’d give the navigation system a pass. Since we’ve only tested the $26,995 Regal CXL and the $29,495 CXL turbo, it’s a little more difficult to assess its standard and optional features. Again, we’ll revisit the scores when we learn more about the base Regal; until then, the Regal’s score of 9 out of 10 is based on a great set of useful features. The standard-equipment list on the Regal CXL shows 18-inch wheels; climate control; power windows/locks/mirrors; an AM/FM/CD/XM/MP3 audio system; leather upholstery; power heated front seats; Bluetooth; and a USB port for audio players. The options list is set to include a premium sound system with a 10GB hard drive and a 1GB flash drive for music storage. There’s also an available navigation system, which other reviewers found easy to use. In our hands, the unit seemed a little clunky; some commands require you use both a controller wheel and then press a separate button to lock in instructions. Take it to heart, GM—and Audi, and BMW, and Mercedes. Touchscreen units are vastly easier to use. If it works for Apple, it has to be okay for cars. 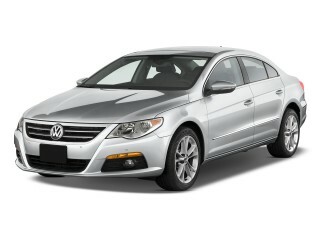 A touchscreen version has been confirmed for the 2012 model. 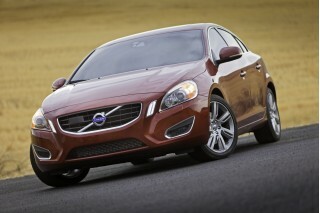 Four-cylinder models get decent, but not class-leading, fuel economy. Fuel economy in the base 2011 Buick Regal is EPA-rated at 20/30 mpg. 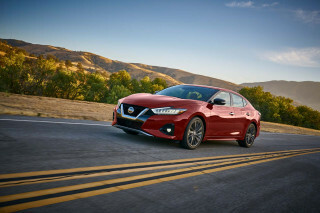 That's a step down from the lofty numbers seen elsewhere in a class that includes the 35-mpg Hyundai Sonata, and even the base 33-mpg four-cylinder automatic Camry. The turbocharged Regal CXL has 220 horsepower, and gets the expected fuel-economy penalty, but it's not a large one. The EPA says gas mileage falls just a bit with the blown engine, to 18/29 mpg.